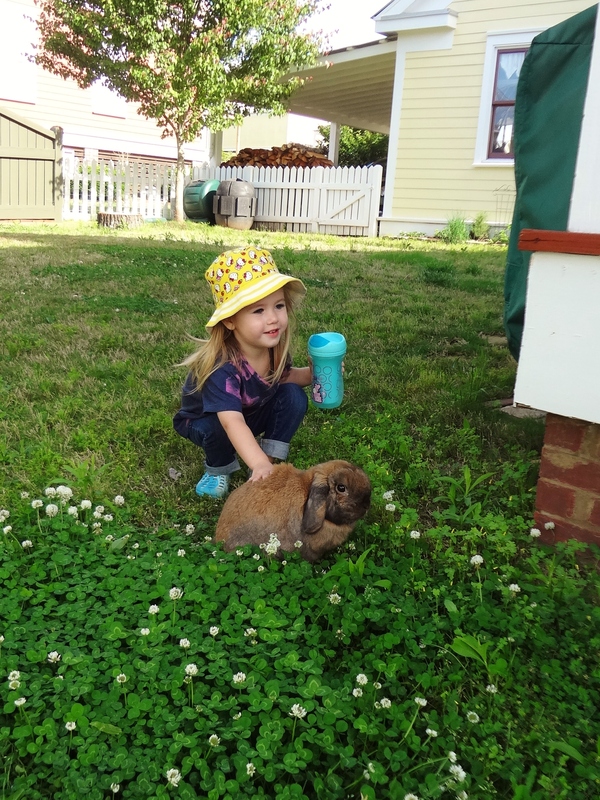 An adorable animal lover visited our home this week to pet a kitten and a bunny. 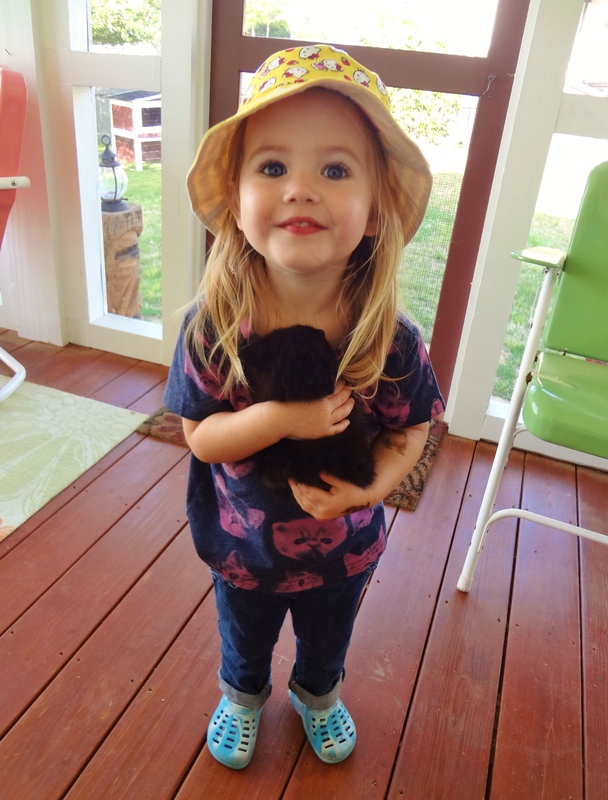 She’s an expert kitten wrangler. She’s also a very professional bunny petter. Look how she multi-tasks with her sippy cup! 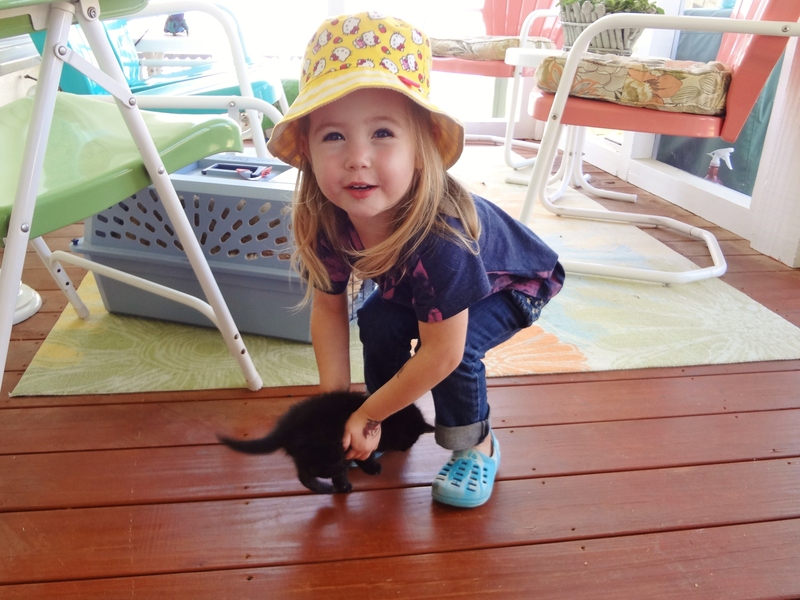 Sylva makes a strong fashion statement with her Hello Kitty chapeau and her blue flowery crocks. 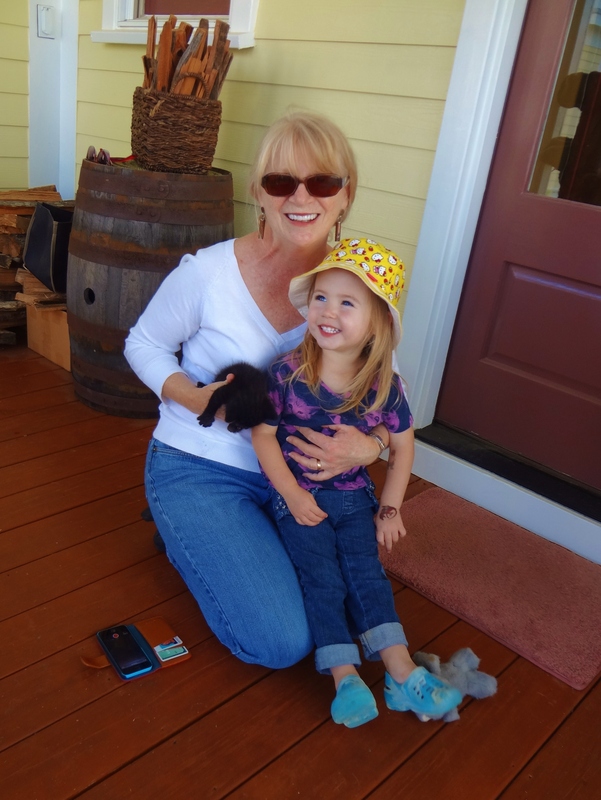 She also has excellent taste in Grandmothers. No, this is not her MOM. This is her MiMi. I think MiMi must have been married at the age of 11. Please tell me Sylvia’s grandfather isn’t named PiPi. Sorry, Bill. I had to go there.